Texbooks describe the fossil record as the ‘best evidence’ for evolution. They claim that the fossil record proves evolution because there seems to be a succession from simpler to more complex life forms, and a succession from marine to terrestrial forms. Charles Darwin suggested that all life has a common ancestor. “All the organic beings which have ever lived on this earth may be descended from some one primordial form.”[i] Darwin depicted the history of life as a tree, with the universal common ancestor as its root. The vertical dimension represents time, whereas the horizontal dimension represents morphological variation. When Darwin wrote The Origin of Species, the oldest known fossils were from Cambrian strata (now dated to ~540 Millions of years using radiometric dating). But he realized that the Cambrian fossil pattern did not fit his theory. “To the question why we do not find rich fossiliferous deposits belonging to these assumed earliest periods prior to the Cambrian system, I can give no satisfactory answer.”[i] Why was the Cambrian fossil record a problem for Darwin? Because if biological evolution occurred in a continuous and gradual way, then, 1) few fossil forms (low diversity) should occur in the lower layers of the sedimentary record or geologic column, 2) diversity should increase upward in the geologic column (and time), 3) the earliest forms should be more generalist and simple (low specialization), not highly specialized, 4) greater specialization should occur in the organisms of the upper layers, 5) new forms should be replacing ancestral forms with signs of gradual change (intermediate or transitional organisms), and 6) a common ancestor should be found. Darwin acknowledged the existence of an “anomaly” in the fossil record that posed a big problem for his theory of gradual evolution from a common ancestor: the abrupt appearance of highly complex life forms in the basal layers of the Cambrian. Its appearance is so abrupt that it has been dubbed the Cambrian explosion. Let’s have a look at the actual Cambrian fossil record to see why Darwin acknowledged a problem for his theory of evolution, then discuss the different hypotheses paleontologists have suggested, the problems of those hypotheses, and a view of the Cambrian fossils from a Flood model. It has been suggested that all the ancestors of the Cambrian organisms had soft parts and therefore they did not fossilize. This argument is not valid because there are many fossils of soft-bodied organisms in the sedimentary record, including many of the Cambrian fossils. 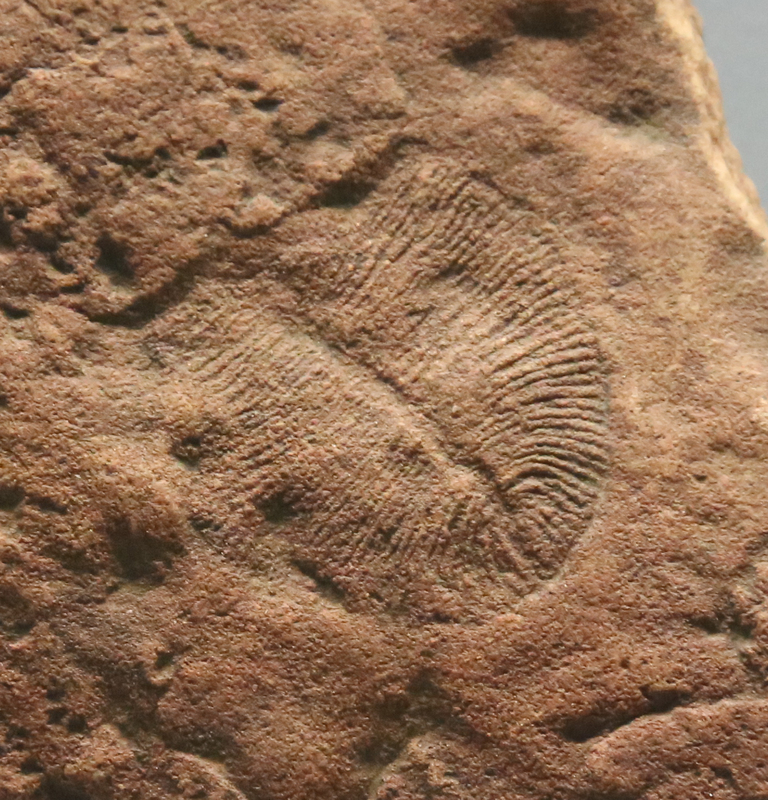 Jellyfish have very soft parts and yet they left very distinct fossils in the Cambrian rocks. It’s not that there are no fossils in the rocks below the Cambrian layers. There are indeed in several places of the world, and they are called the Precambrian Ediacaran fauna. Ediacaran fauna predates the Cambrian explosion by 25 million years in the evolutionary time scale. 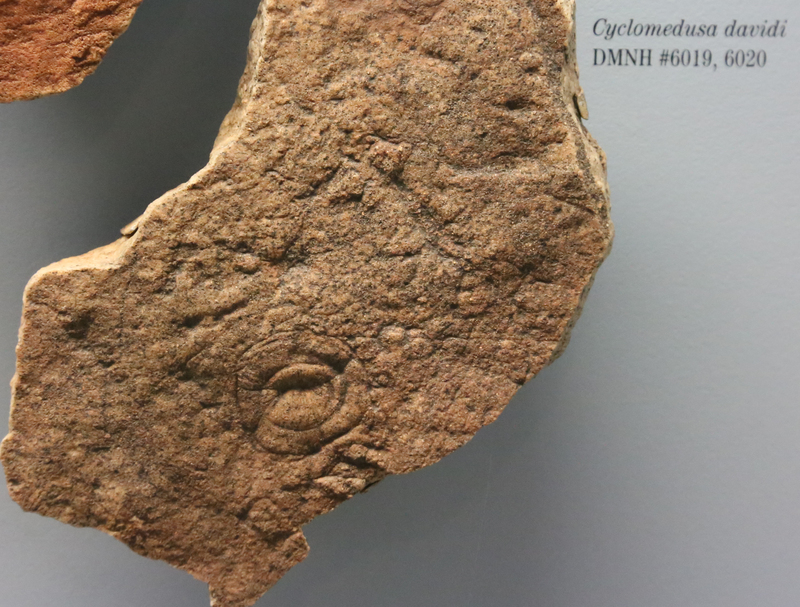 Is the Cambrian fauna the descendant of the Ediacaran fauna? The Ediacaran fauna are soft-bodied animals, whereas the Cambrian fauna are both soft-bodied and hard-bodied (shelly) creatures. 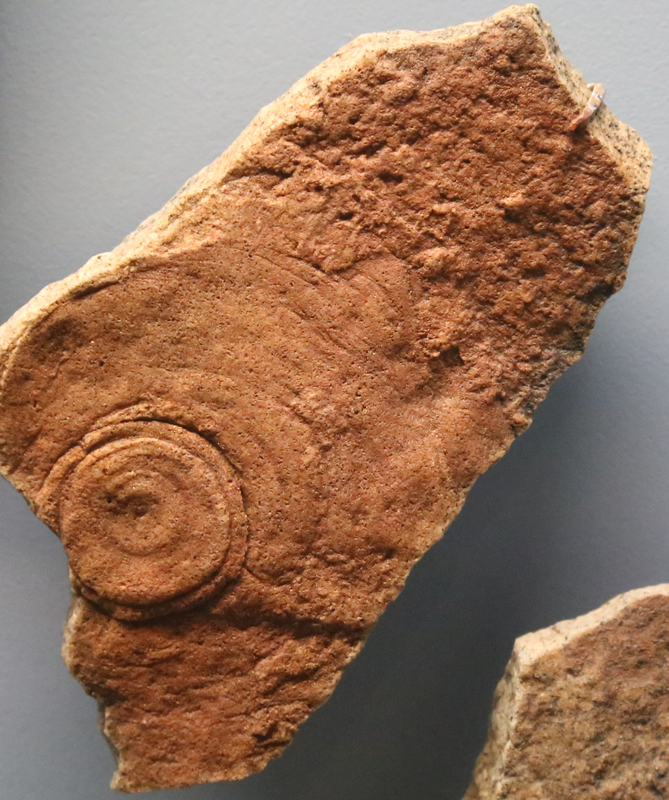 Ediacaran animals were not the ancestors of the Cambrian animals. It has been suggested that increase in the atmosphere’s oxygen content around 700 million years ago triggered the evolution of more complex body structures. But research has shown that the oxygen content in rocks allegedly 2.1 billion years old was probably the same as by the time the Cambrian explosion occurred. [v] Even if an increase of oxygen occurred sometime before the Cambrian, this hypothesis does not explain why a sudden occurrence and not a gradual appearance. Some have suggested the Cambrian explosion was triggered by a global sea level rise with the consequence of the flooding of flat, shallow areas of the continents. The flooded areas would have provided a vast habitat for the aquatic organisms but would also be eroded, releasing many minerals, such as calcium and strontium, into the seawater. Those minerals are toxic to cells and the organisms would have to evolve the ability to excrete the toxic minerals. Consequently, what they did was to incorporate those minerals into their exoskeletons, enabling much more complex body plans, and feeding adaptations. The problem for this hypothesis is that it presupposes that the Cambrian land surfaces were eroded, that minerals were released into the water and absorbed into the skeletons and that all of that triggered evolution. There is no known evidence for this cascade of events, and thus they cannot be used to explain why the Cambrian fauna suddenly arose. Another speculation is that an extinction of life occurred just before the Cambrian and opened up ecological niches or “adaptive spaces,” that the new forms exploited. [vi] One major problem for this hypothesis is that there is no evidence for such Precambrian extinction(s), except for the extinction of the Ediacaran fauna, which nonetheless is not related in any way to the Cambrian fauna. Moreover, one would have to explain both the Precambrian extinction and the origin of those Precambrian organisms. Some paleontologists have suggested that genetic factors were crucial in the sudden rise of the Cambrian fauna. [vii] They propose that gradual evolution of a “kit” of genes occurred prior to the Cambrian explosion. These genes controlled development processes. An unprecedented period of genetic changes occurred, which triggered the rise of many new biological forms (diversity) and the disappearance of many others. Only the body plans that proved to be successful came to dominate the ecosphere. The problems with this model are various. First, this idea is purely speculative, not based on actual pre-Cambrian specimens. Second, the scenario is plausible, but still does not explain the suddenness of the fossil record in the lower Cambrian. And third, the last assertion—that only the body plans that became more successful came to dominate the ecosphere—is circular reasoning. These hypotheses are just a sample of the many that have been suggested. It is important to note that what those hypotheses offer is a number of possible environmental, genetic, and geochemical events associated with the sudden origin of the Cambrian fauna, but not how the Cambrian fauna originated. There is a fundamental difference between claiming what might have occurred during the rise of the Cambrian fauna and how the fauna arose in gradual steps from a common ancestor. What we need is a mechanism for the sudden origin, not a description of the results. The Cambrian explosion is a tremendous problem for the theory of evolution. There is no evidence of how the Precambrian single- or multi-celled soft-bodied organisms might have evolved into the highly complex and diversified shelled and soft-bodied organisms. The complex Cambrian animals just abruptly appear in the fossil record with every organ and structure complete and ready to function. Some of the most complex biological structures are already present in the Cambrian organisms, such as the eye of the squid, which is very similar to the human eye. Both the Cambrian and the Precambrian fossils indicate sudden appearance of 1) high complexity, 2) high diversity, and 3) high geographic distribution. These features are a problem for the evolution theory because they are not expected within a model of gradual appearance and change over time. According to the Darwinian evolution model, the first organisms should be very simple (low complexity) and show little diversification (there should be only a handful of forms). 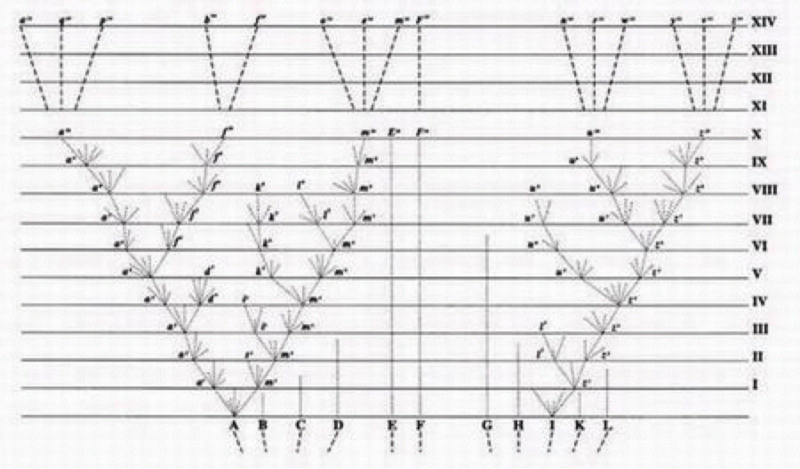 The initial forms show be very similar (low disparity) and progressively differentiate. Instead, we find high disparity at the very beginning of the animal fossil record. All these features are in startling contradiction with the Darwinian evolution assumptions and predictions. Is there an alternative to the evolutionary models? Can we provide a reasonable hypothesis within a short-age biblical Flood model? The answer is yes. The Flood model provides a reasonable explanation for the Cambrian explosion. First, it explains why the ancestors of the Cambrian did not fossilize. They did not fossilize because in reality they did not exist. 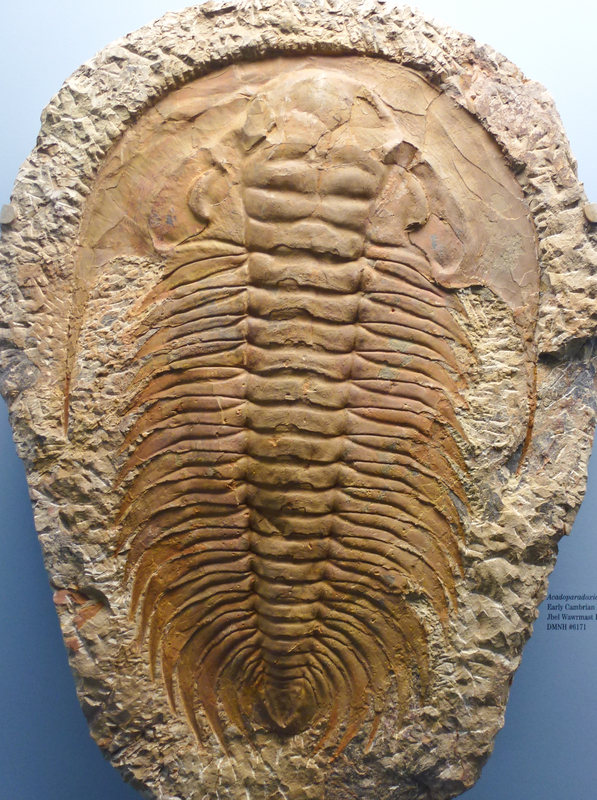 Second, it provides a setting for the burial and fossilization of the Cambrian organisms. Probably the Cambrian fossils were species that lived on the pre-Flood ocean floor. They may have lived on the lower topographic areas and were the first buried by the sediment carried into the oceans. Or they may have been buried by the onset of the Flood when “all the springs of the great deep burst open” (Genesis 7:11). 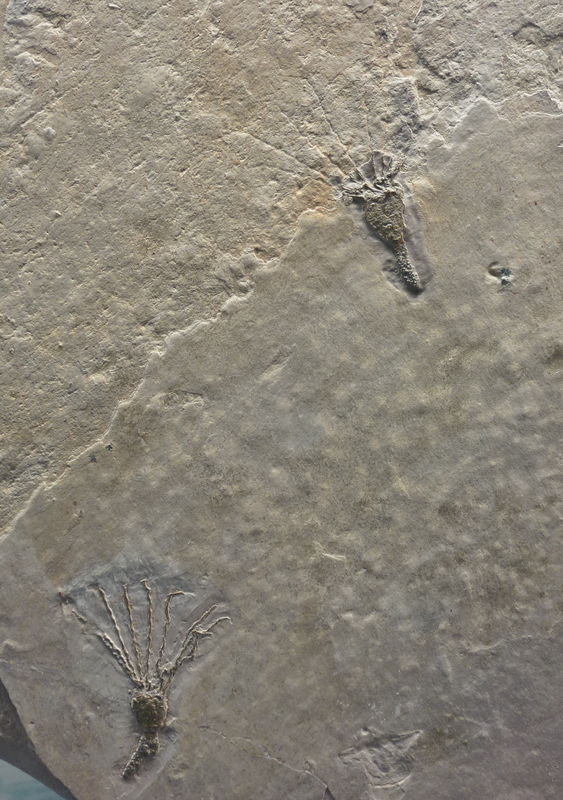 The opening of these springs must have been a catastrophic event that may have caused underwater earthquakes, large waves, currents, and the removal and transport of large masses of sediment, which probably were deposited covering exceedingly large surfaces of the seafloor, thus burying the bottom dwellers—the Cambrian fauna. 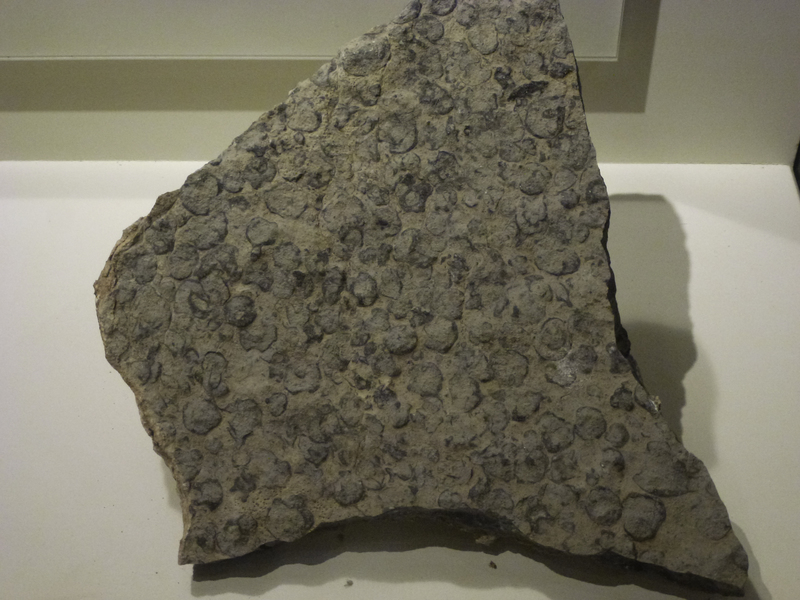 The Precambrian fauna would have been animals and unicellular organisms that were buried and fossilized during sedimentation events that happened after the Fall and before the Flood. [i] Darwin, C. 1872. The Origin of Species, 6th edition, p. 289. [ii] Smith, M. P., & Harper, D. A. T. 2013. Causes of the Cambrian Explosion. Science, 341(6152), 1355-1356. doi: 10.1126/science.1239450. Emphasis added. [iii] Even assuming the evolutionary time scale of millions of years for the appearance of all animal and plant forms, an interval of 25 million years that separates the extinction of the Precambrian fauna and the sudden appearance of the Cambrian fauna is too short to account for the novelty of the complexity of the latter. [iv] For a summary see, Levinton, J. S. (2008). The Cambrian Explosion: How do we use the evidence? Bioscience, 58(9), 856-864. [v] Oxygen not the cause of the Cambrian explosion. Astrobiology Magazine, October 22, 2013. http://www.astrobio.net/topic/origins/origin-and-evolution-of-life/oxygen-not-the-cause-of-the-cambrian-explosion/. [i] Darwin, C. 1859. The Origin of Species, 1st edition, p. 484.